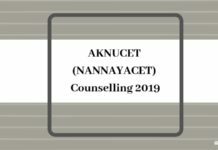 DSAT 2019 Admit Card will be released by the Dayananda Sagar University. The admit card will be released in online mode on the University Website, www.dsu.edu.in. The admit card will be available only for the candidates who have registered successfully. In order to download the admit card, candidates can also click on the link provided on this page. The Dayananda Sagar Admission Test 2019 is going to be held on 27, 28 Apr and 4, 5, 25, and 26 May 2019. 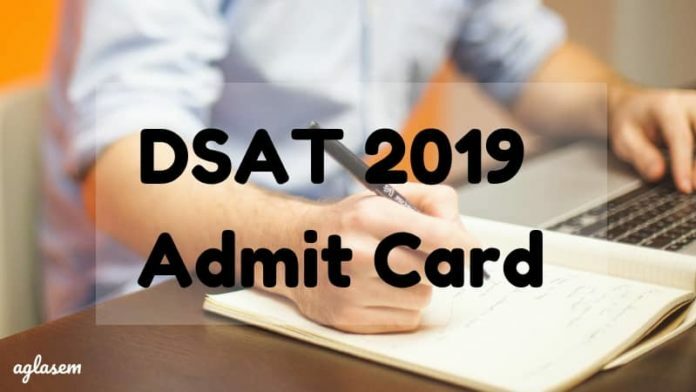 DSAT 2019 Admit Card will work as a key to enter the examination premises so, it is advised to the candidates to carry the same on the day of the exam. The Admit Card will be available to the candidates a few days prior to the exam. 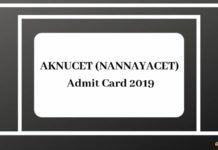 For more details about DSAT Admit Card 2019 check article below. Aspiring candidates should also retain their admit card till the time admission process gets over completely. No candidate will be allowed to enter the test center without a valid admit card so, don’t forget to carry the hall ticket in the day of the exam. Students will have to download the admit card as they will not get it through post or any other medium. 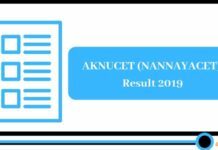 To know the dates of the admit card of DSAT 2019 refers to the table below. How to Download DSAT 2019 Admit Card? In order to avoid the last minute rush candidates should download the admit card as soon as it is available. The candidates can check the complete procedure to download Dayananda Sagar Admission Test 2019 admit card from the steps given below. The first step to download the admit card of DSAT 2018 is to click on the admit card link that has been provided above or visit the University website. 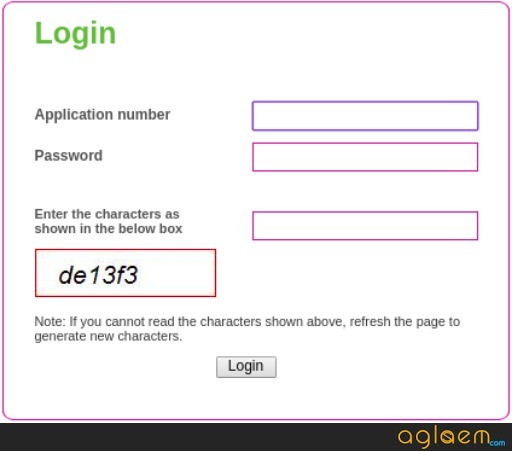 Next, the candidates will have to access the admit card login by entering the application number and password. Also, enter the characters as shown in the box. After submitting the required details, the candidates need to click on the ‘Login’ button. DSAT 2019 Admit Card will be displayed on the page. Candidates should download and take a print out of it so that he/she will be able to carry the same on the day of examination. Candidates should note that they need to carry admit card in the form of hard copy. So, download it and get it printed on an A4 size sheet. Once you have downloaded the admit card. The following details listed below will be given on the admit card. We would advise you to check all the details once carefully. In case of any discrepancy related to the details printed on the admit card, it should be brought to the notice of conducting body immediately. Candidates will be prohibited from entering the test center without the relevant documents. Applicants are also advised to keep the admit card in good condition till the completion of admission process. ON the day of examination candidates should bring the hard copy of the requisite documents mentioned below. A Government Approved Valid Photo Identity proof like Aadhar card, PAN card, Driving License, Voter ID, Passport (Any) etc. Applicants should carry the admit card/hall ticket on the day of the examination with utmost precaution. To make sure that it does not get tampered he/she should get it laminated. You can also keep multiple copies of the admit card with them so that even if one of the document gets mutilated, the applicant will be having another copy of the same. Candidates should keep their admit card in good condition till the admission procedure gets over completely. keep and bring your respective admit card on the day of the exam in good condition. Reach the exam hall on time. Try to reach a little early so that you can find your seat without delay. Do not carry any bag, Electronic gadget, or any paper material in the exam hall. Use of Unfair means will lead to cancelation of candidature so, do not use it. Just do your best. Insofar, Only Application form and important dates for DSAT 2019 has been announced. Information on this page is based on last year information brochure and for reference purpose only. As soon as Dayananda Sagar University (DSU) will release the DSAT 2019 information brochure, details will be updated here. In the admit card,my phto and signature are not there..what should i do now?Its showing no preview image..plzz help me..